Suzuki has released details of its 2017 RM-Z250 and 450 models, honing the popular race-wining four-stroke range with a selection of aesthetic upgrades for the 2017 season. Following a significant update for the 2016 season, when the RM-Z250 gained improved low-to-mid range power output thanks to a thorough redesign of the engine's top-end, and also benefitted from the introduction of Suzuki’s second generation holeshot assist system, this years upgrades centre around aesthetics, with all-black Excel rims, hubs, new radiator shield graphics, and a new number board graphic, too. In the MX1 class, the RM-Z450 continues to prove its pedigree, not only by winning the 2016 Monster Energy Arenacross series for a second successive season with Thomas Ramette and the SR75-Molson Suzuki team, but by also currently dominating the AMA outdoor championship in the hands of Ken Roczen, who has taken six overall wins in as many rounds, and four 1-1 results in a row. 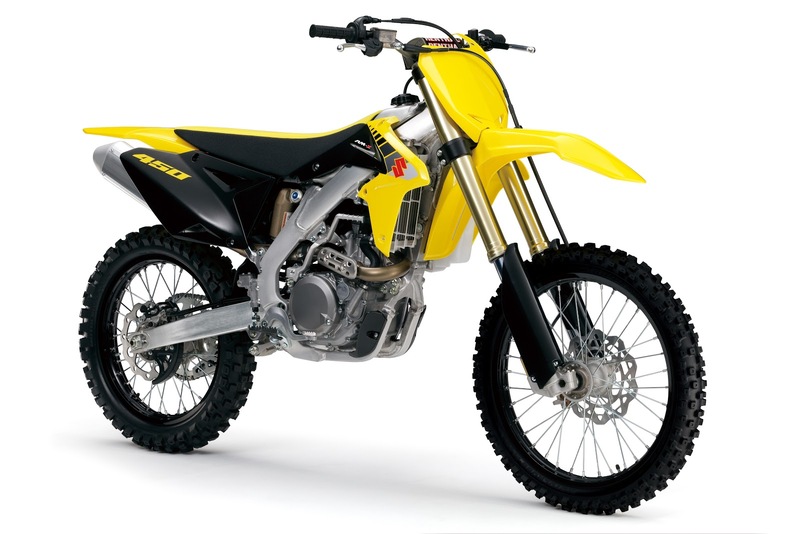 With such a formidable reputation, the RM-Z450 also adopts all-black Excel rims and hubs to offer more than a passing resemblance to the RCH Suzuki AMA race machine, right out of the crate. The new models will be available in authorised Suzuki dealerships in the winter.